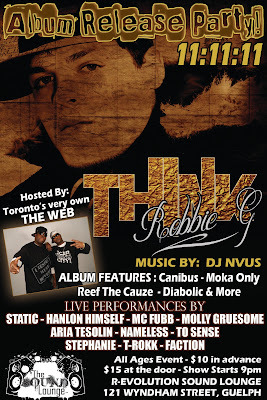 H3 Family + supporter Robbie G is releasing his album Think tomorrow night, 11.11.11., at his release party in Guelph. 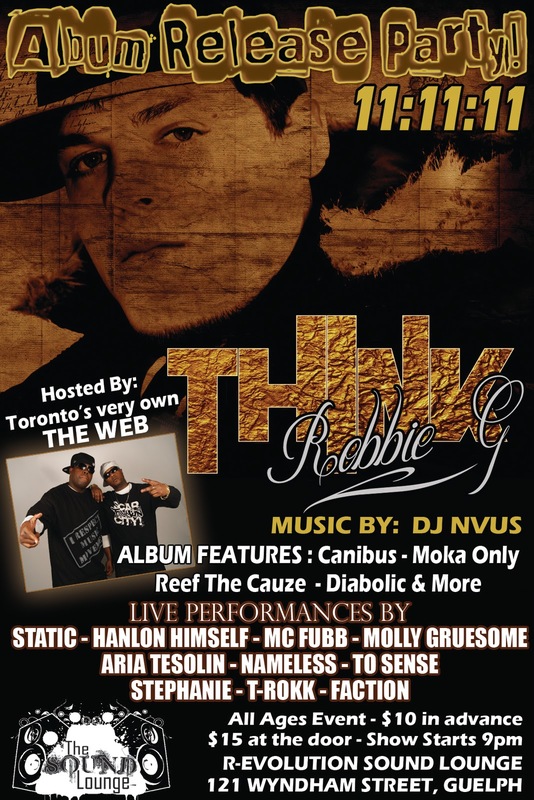 The album boasts features such as Canibus, Reef the Lost Cauze, Diabolic, and Moka Only and will be on sale at the event (free for the first 15 people through the door!). H3 + Cypher founder MC FÜBB is on the bill as well.